Aside from the fact that it looks really cool. 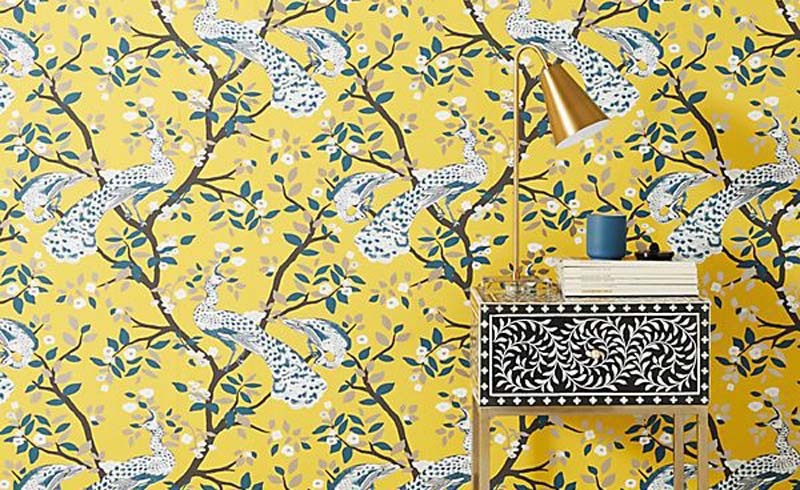 Wallpaper is an incredible and underrated design element that can instantly add color, personality, and art to your space. 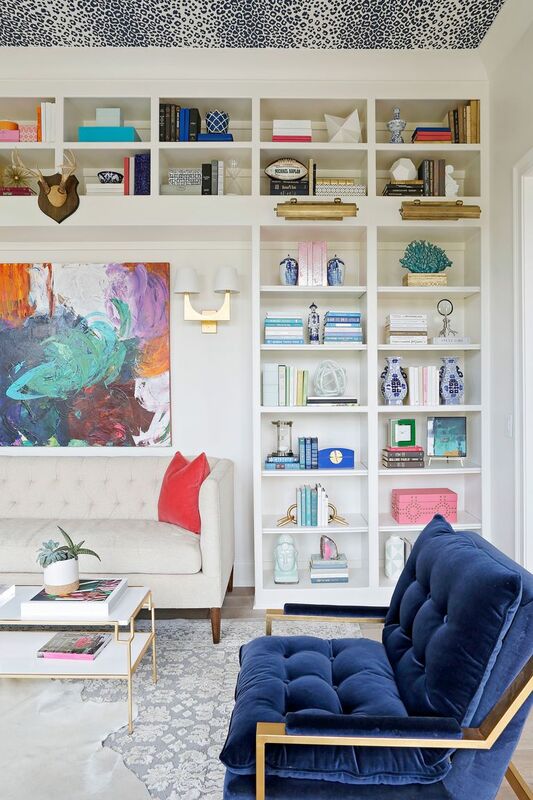 In a time when ultra-bright white rooms reign supreme on Instagram, many of us might be afraid of color or pattern being too overwhelming. That isn't a totally unjustified fear: The wrong wallpaper in the wrong room can at best, transport you back in time and at worst, give you a headache. 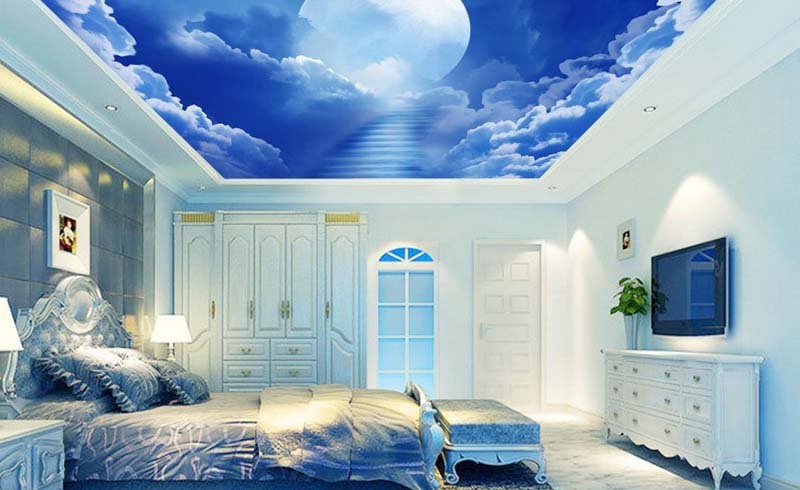 But there are so many ways to do wallpaper right, and one creative option you might not have considered is installing wallpaper on your ceiling. "I'm a huge fan of wallpaper and its ability to transform a space more powerfully than paint," says Nashville designer Lori Paranjape. By adding a dramatic leopard print wallpaper on the ceiling of this study, Lori was able to add a punch of personality and color to the room without disrupting the theme of all white walls throughout the house. "The ceiling was our chance to be brave and bold, without becoming a distraction for the adjacent spaces," she says. 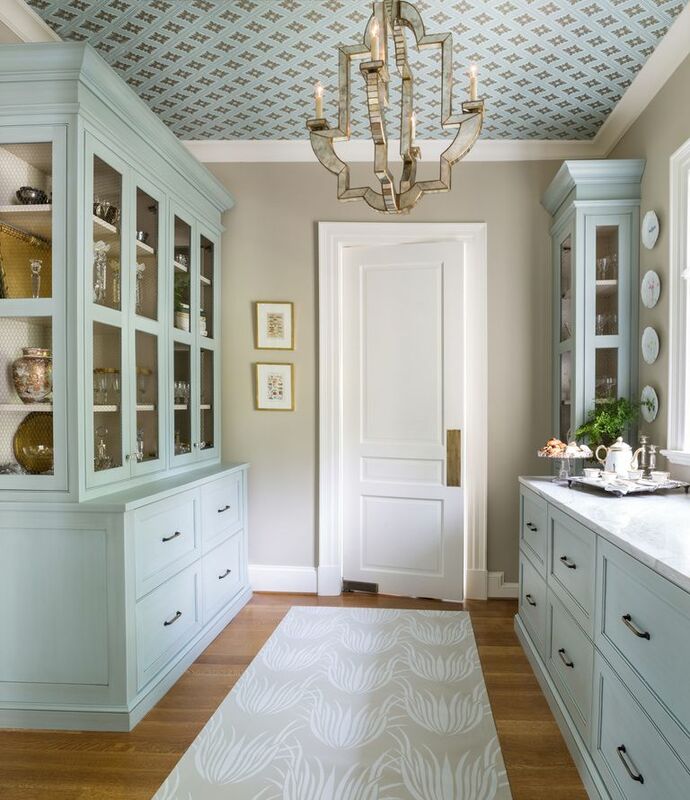 A clean palette of a ceiling is exactly what led Nadia Subaran, co-owner of Maryland-based firm Aidan Design, to use wallpaper on the ceiling of this kitchen-adjacent china pantry. The ceiling was the perfect choice for Farrow and Ball’s Ranelagh paper in a small room with tall cabinets, several doors, and a window. Finally, when it comes to installation, Lori suggests calling in the pros. "Wallpaper got a bad wrap for a long time because of how poorly it was installed... and therefore how poorly is came down," she says. If you want to DIY, there are tons of removable and self-adhesive wallpaper options out there that mean no mess and easy removal—even for renters.